Sample Configurations, Training Info, Product Releases and Other Valuable Content at Your Fingertips. This half day lab is designed for programmers and engineers who are either new to the Tesira environment, or would benefit from additional hands on training. Each session consists of 4-8 participants, each performing live programming tasks similar to those experienced in the field. Each session can also be modified for so that attendees get the most out of their time. There are basic requirements to book this training, including the completion of basic Biamp online trainings. Condensed training focused on sales and design individuals seeking to improve their knowledge of the Biamp platform and how to make their designs more efficient. While this module does not contain any live hands on exercises, participants are trained on how to use Tesira software to test and validate designs prior to ordering. Interested in scheduling a training session? E-Mail Us to Discuss Details Today. 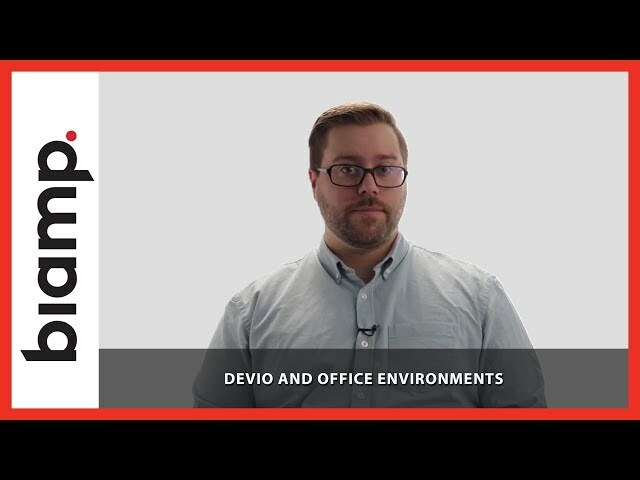 With almost 100 Demonstrations logged our Online Experience Center's conference room showcases the amazing Tesira and Devio conference solutions (with other great solutions to round everything out). Take a peek under our hood and get beck to us when you want a test drive. Let us Help. Request Your Demo Today. Get Access to Videos, Events, Tutorials and MORE. Below are sample configurations designed to start you off in the right direction. Click on the corresponding model name for a list of configurations. Introducing SageVue™, our browser-based software platform that enables technology managers, integrators, and end users to manage and monitor all Tesira® and Devio® devices connected to a network. 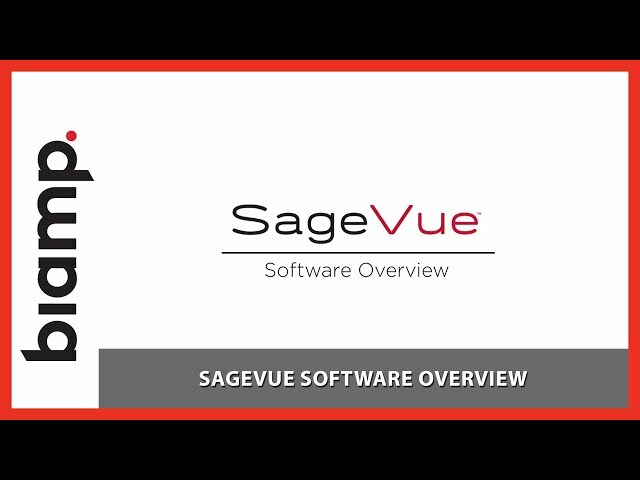 With SageVue empowers technology managers to view system status and perform several administrative tasks. SageVue intelligently interfaces with LDAP infrastructure, which allows IT managers to use existing data to control system access to the software. Equipped with a full-featured RESTful API, SageVue gives technology managers the ability to create custom dashboards, providing a single, comprehensive view of all Tesira and Devio devices connected to the network. With our pro-AV systems installed in more than 100 countries throughout the world, our solutions make human voices resonate clearly and naturally while delivering perfectly synced video. We are a leader in audio and video conferencing solutions, sound reinforcement, and public address and voice evacuation systems. Visit us to learn how we can add to your success. Why should you should consider AVB / TSN to be your protocol of choice in media delivery over a network? 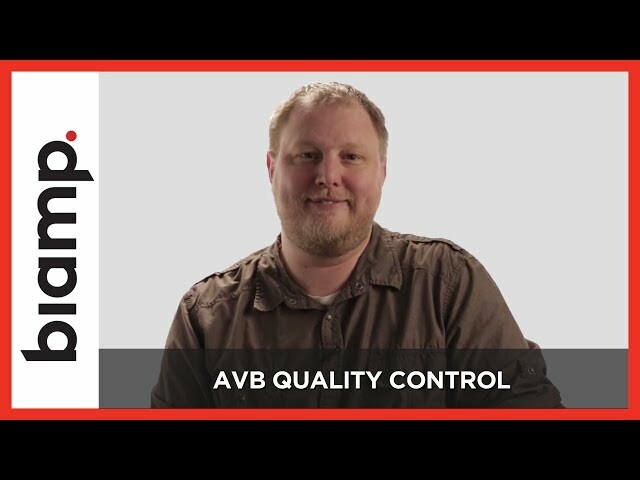 Audio Products Manager, Zach Snook explains the benefits plus why AVB is Biamp’s preferred method for transporting media across the network. 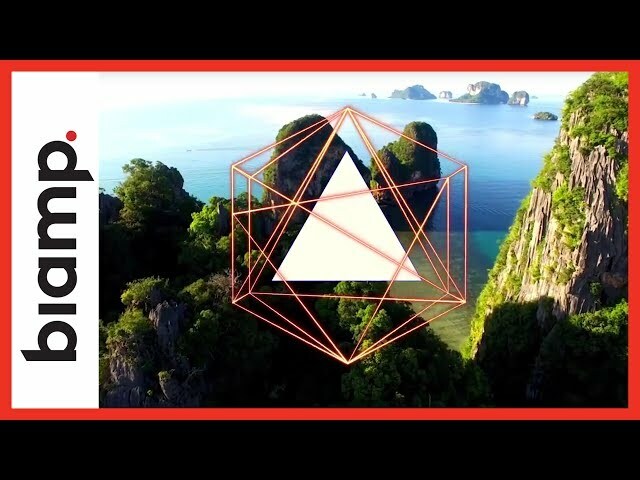 Connecting people through extraordinary audio-visual experiences. Discover more about AVB timing and synchronization with our Audio Products Manager, Zach Snook. Join Audio Products Manager, Zach Snook, as he explains how AVB devices communicate and are controlled. With hundreds of thousands of professional audio systems installed in more than 100 countries throughout the world, our systems make human voices and other sounds resonate clearly and naturally. We are a leader in audio conferencing, video conferencing solutions, small business phone systems, PA systems, and audio systems. How does AVB bandwidth reservation help you? Zach Snook, our Audio Products Manager, explains in this video. How does AVB offer you quality control? Join our Audio Products Manager, Zach Snook, as he discusses the IEEE Standard, 802.1Qat, and how it establishes control for a media transfer. 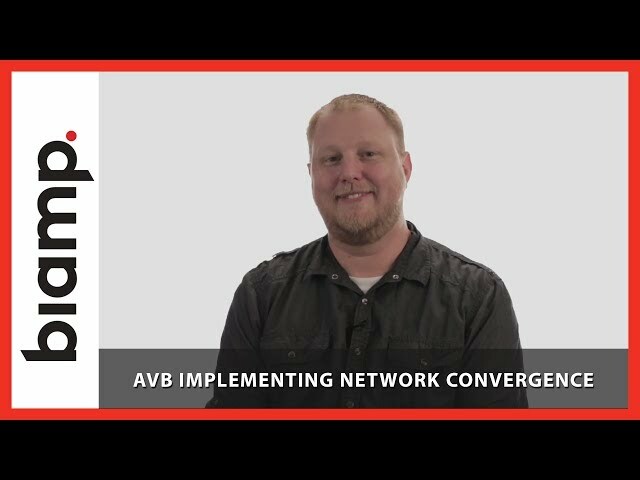 Want to understand the definition of network convergence, and what it means to the AV and IT industries? Join our Audio Products Manager, Zach Snook, as he explains. In our previous video we explored how network convergence can be a challenge on the IT side (see AVB Part 6 video here: https://www.youtube.com/watch?v=-YWk3Jl3ibE&t). Now we'll discuss how network convergence actually happens. How can convergence actually happen? Our Audio Products Manager, Zach Snook, explains here. Now that you understand the reach of AVB in the professional AV industry, learn how useful it is in others industries. Join Zach Snook, our Audio Products Manager, as he explains here. NEED A BOOST TO GROW YOUR BUSINESS? This week, Ryan Wilson, Technical Support Supervisor, discusses how employers can keep up with the changing way we work by providing workers with effective communication tools. 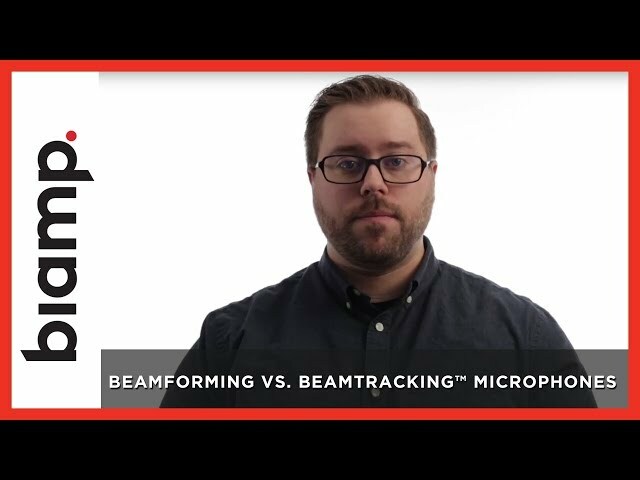 Beamforming microphones have been a significant advancement for professional AV, but the fact remains that the beams determine where the people should be. That's why we invented Beamtracking™ microphones. Join Ryan Wilson to find out more. Our brand-new EX-UBT Expander makes it easy to add USB and Bluetooth audio capabilities anywhere in your Tesira designs. Find out more in this video with Chris Fitzsimmons, Product Manager. TesiraLUX, the latest addition to the Tesira platform, is here. TesiraLUX is a fully-integrated networked media system that enables real-time video distribution with integrated lip-sync. Watch to discover more. 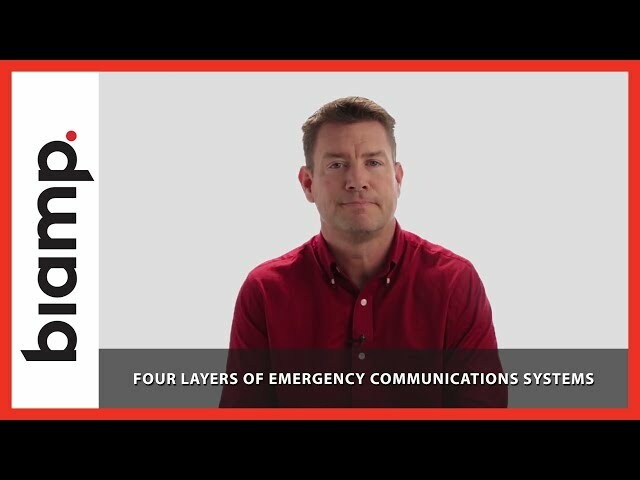 This week, Mike Cast, Field Sales Engineer, discusses the four layers of Emergency Communications Systems (ECS) as defined by the NFPA.